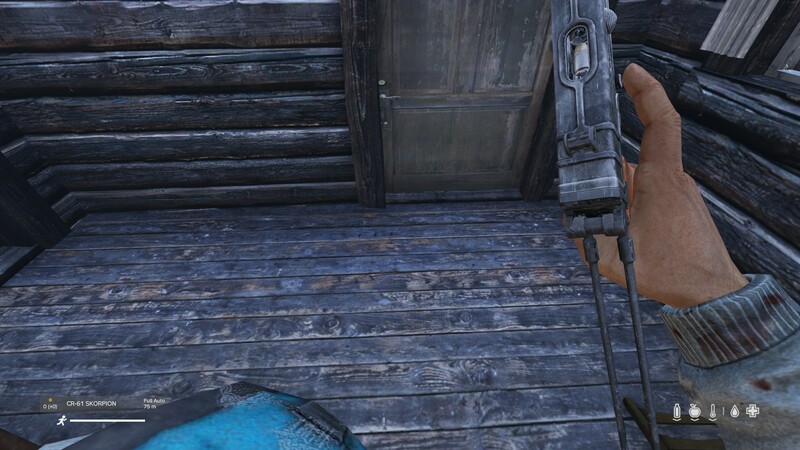 I'm not sure it constitutes as a bug, but Skorpion (the submachine gun in .380ACP) shows a loaded bullet even if the gun is empty and without a mag. Screenshot with the issue attached. Just look carefully at the gun while you're single-loading it without a mag. Look in first person. It can also be noticed if you simply press R to charge the gun (without any ammo), but you need to look closely.